Pioneers in the industry, we offer single lock polyaxial screw and monoaxial screw from India. Our team of experts brings a wide range of Single Lock Polyaxial Screw with their effort hard work and dedication, which give a proper comfort to the patients in spinal fracture. Our product is well known for its durability and precision. We offer customization as per the needs and requirements of our valued customer. 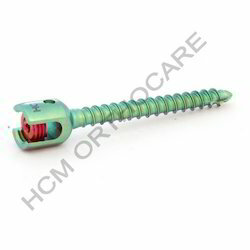 We provide the entire range of Poly Sacral Screw at competitive prices. Our immense domain knowledge has enabled us to present a wide array of Orthopedic Screws such as Monoaxial Screw that is extensively used in lumber fixation procedures by renowned surgeons. These are designed in strict compliance with international standards and manufactured from the finest grades of metal alloys. We offer wide array specifications of these screws to match requirements of our valued clients and maintain rigid quality norms that are in accordance with laid down standards of the domain. Our prestigious clients can avail these at very reasonable prices. 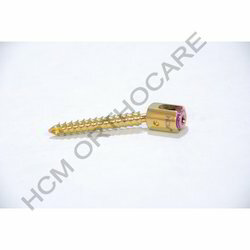 Looking for Orthopedic Screws ?